TYWKIWDBI ("Tai-Wiki-Widbee"): Beautiful. And sad. 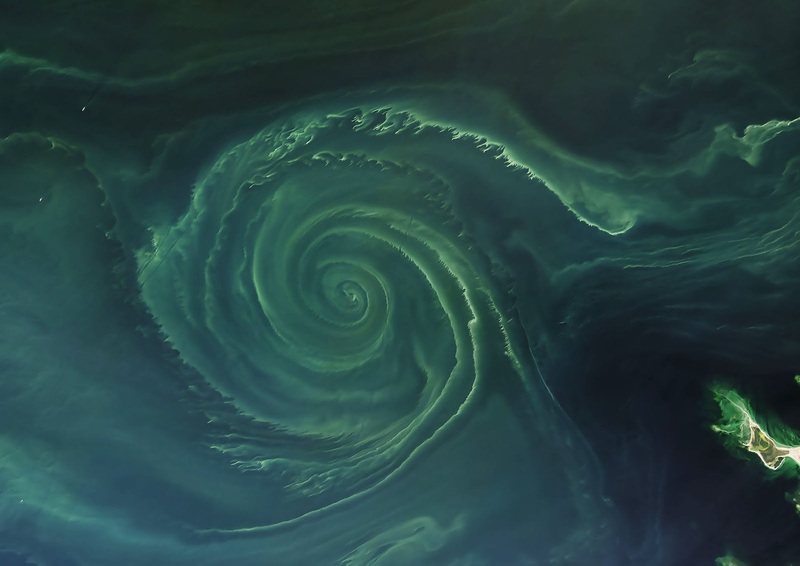 Every summer, phytoplankton spread across the northern basins of the North Atlantic and Arctic Oceans, with blooms spanning hundreds and sometimes thousands of kilometers. Nutrient-rich, cooler waters tend to promote more growth among marine plants and phytoplankton than is found in tropical waters. Blooms this summer off of Scandinavia seem to be particularly intense. In recent years, the proliferation of algae blooms in the Baltic Sea has led to the regular appearance of “dead zones” in the basin. 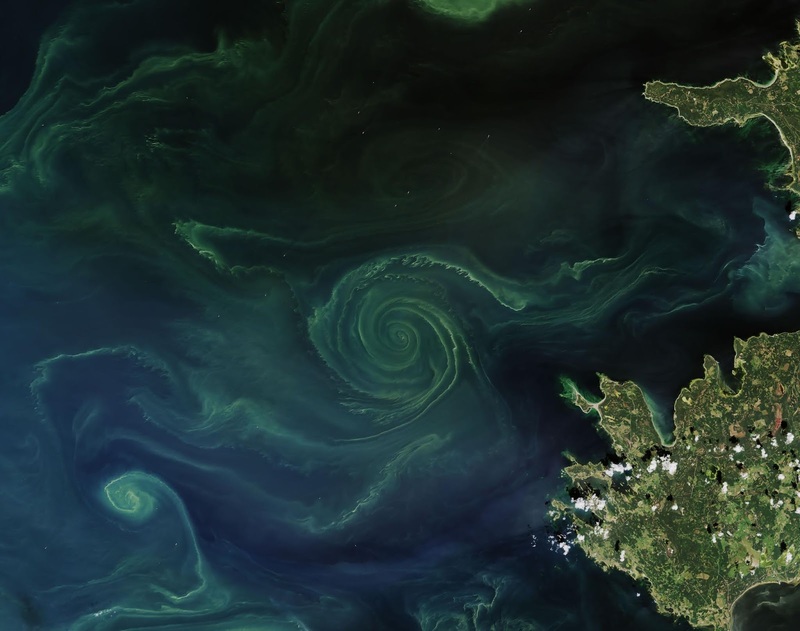 Phytoplankton and cyanobacteria consume the abundant nutrients in the Baltic—fueled largely by runoff from sewage and agriculture—and reproduce in such vast numbers that their growth and decay deplete the oxygen content of the water. According to researchers from Finland’s University of Turku, the dead zone this year is estimated to span about 70,000 square kilometers (27,000 square miles). A research team from Finland and Germany reported this month that oxygen levels in recent years in the Baltic Sea are at their lowest levels in the past 1500 years. More frequent and massive blooms, combined with warming seas due to climate change, are making it harder for fish and other marine life to thrive in this basin. I cropped the top photo from the lower one; the tiny white dots are boats. Same stuff in going on around Florida right now, killing everything in the Atlantic and Gulf. Fish, Manatees, Dolfins are washing up on the shore in absurd numbers. Very depressing.